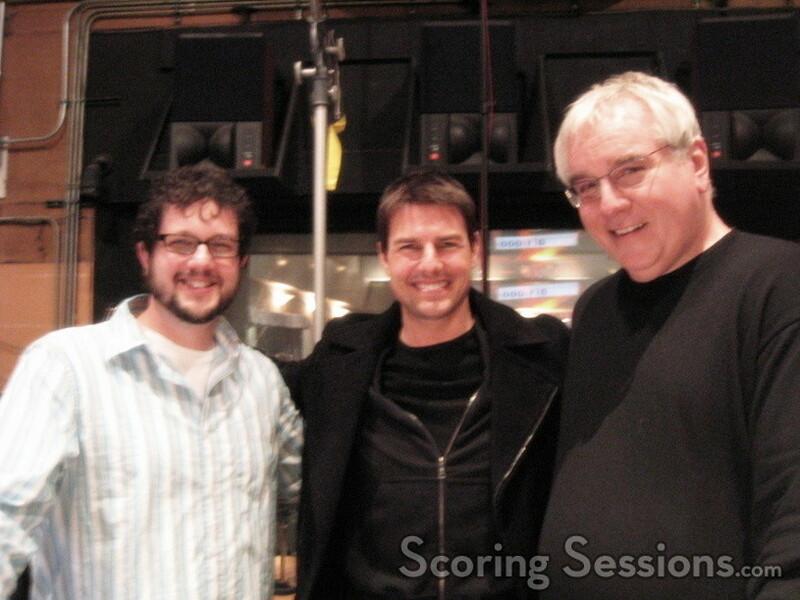 Over the past few weeks, one of the most anticipated films of 2006, Mission: Impossible III, has been scoring at the Sony Scoring Stage in Culver City, CA. 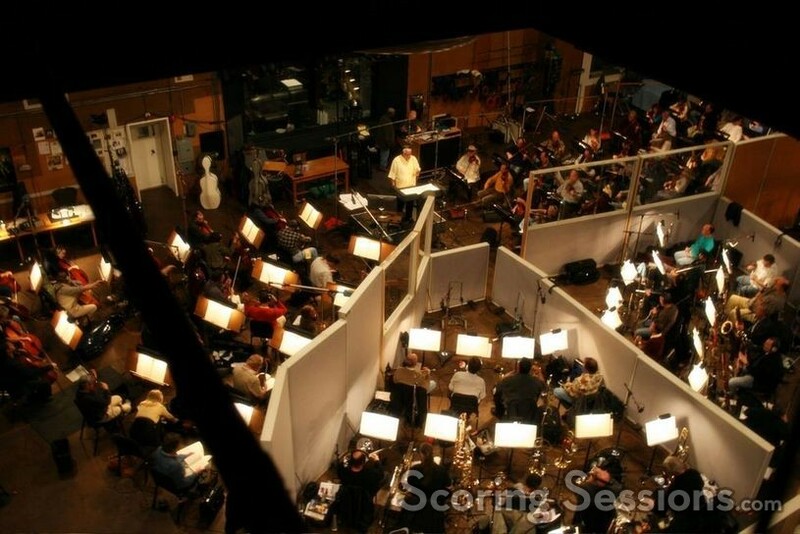 Composed by Michael Giacchino, the score for the film contains pulse-pounding action-heavy music, tempered with dramatic and even tender moments. 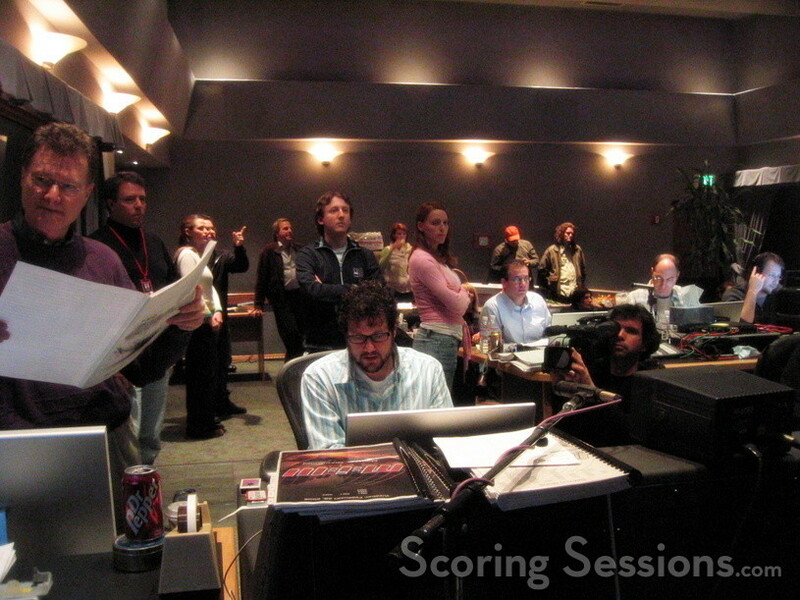 Director J.J. Abrams pulled together the same crew that he had worked with on the television show "Alias", and the result – from writing, to editing, to the music – is that everyone has really been working together for almost six years – much longer than the average film. 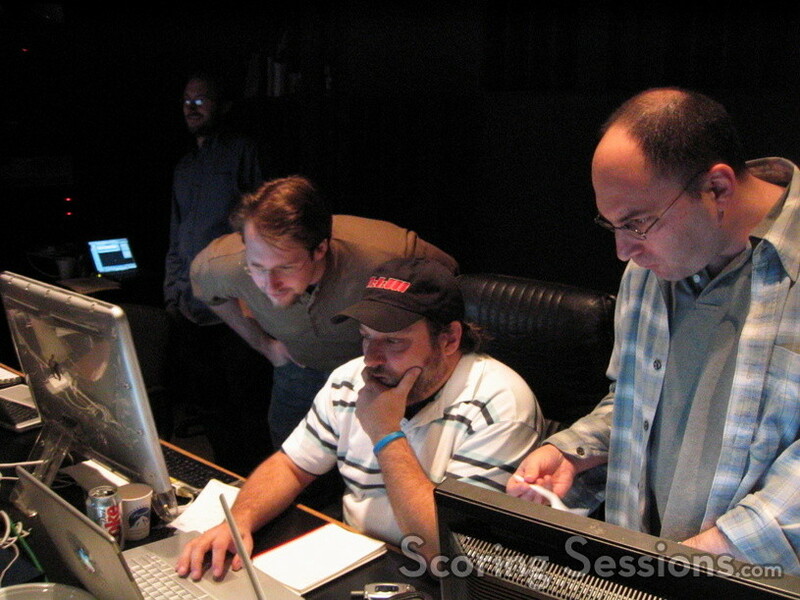 Giacchino and Abrams started working together on "Alias", and the comfort and trust that they have with each other was evident throughout the writing process. 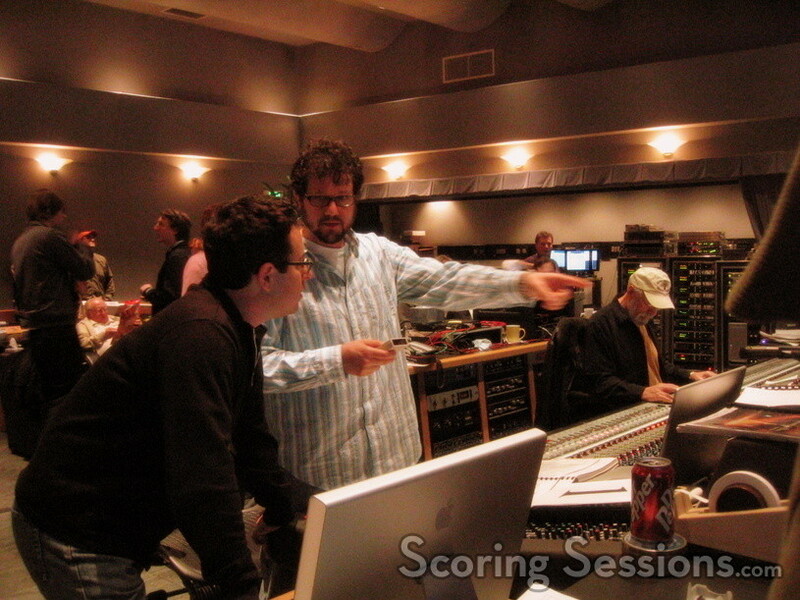 Giacchino has been using the same music team for the past few years as well, and the short-hand and camaraderie made things run smoothly and fun at the sessions. 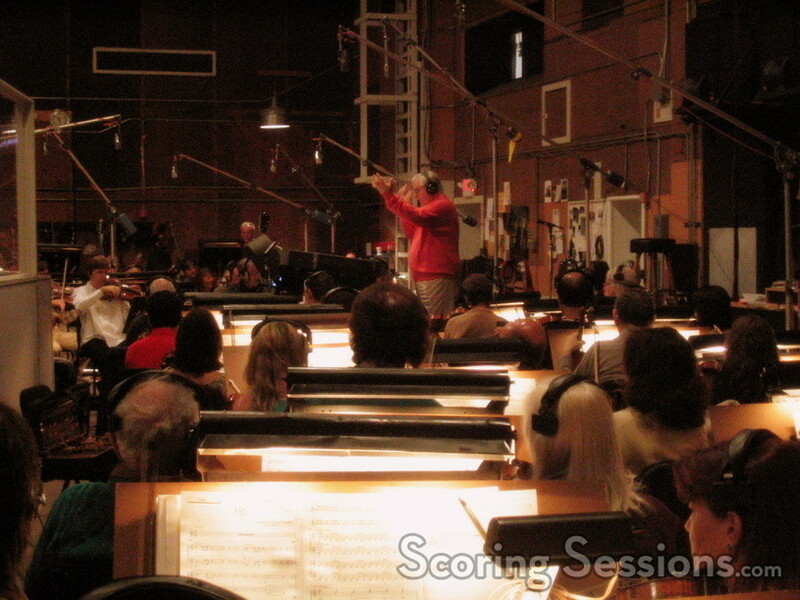 Conducting a substantial 112-piece orchestra was orchestrator Tim Simonec. 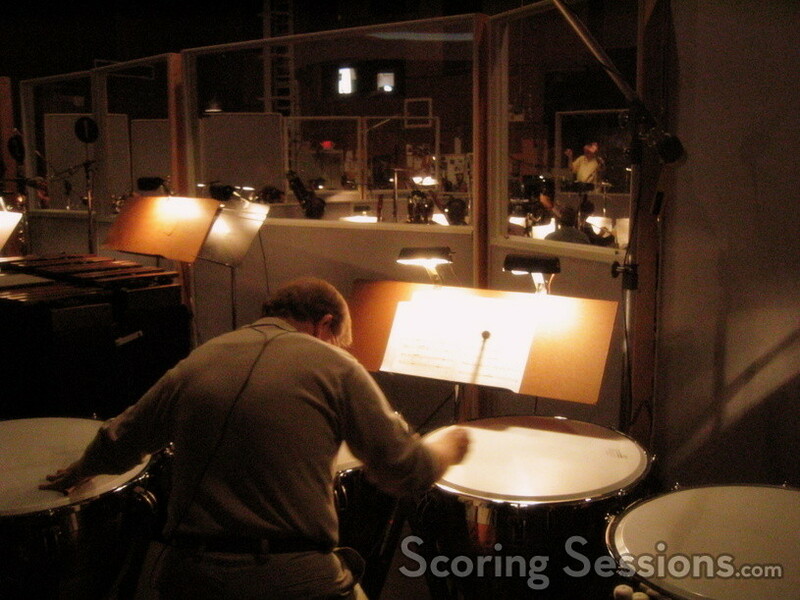 Score mixer Dan Wallin was handling the sound – which was tricky considering the size of the orchestra. 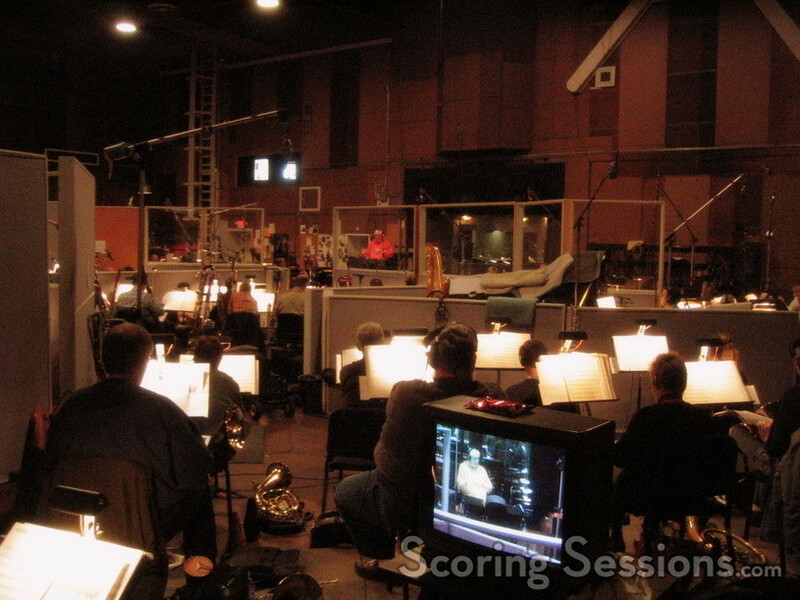 The orchestra is so large that some musicians needed televisions to see the conductor! 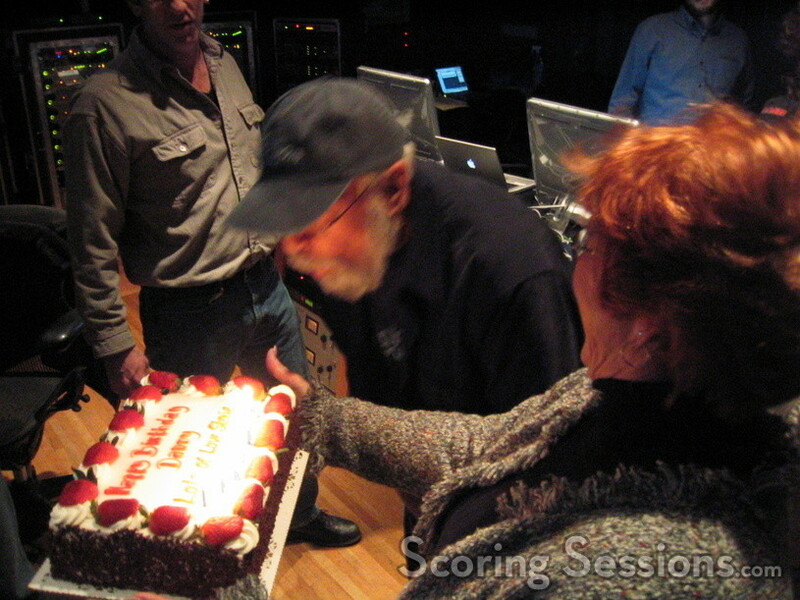 According to music editor Stephen Davis, there are over 100-minutes of score in the film. 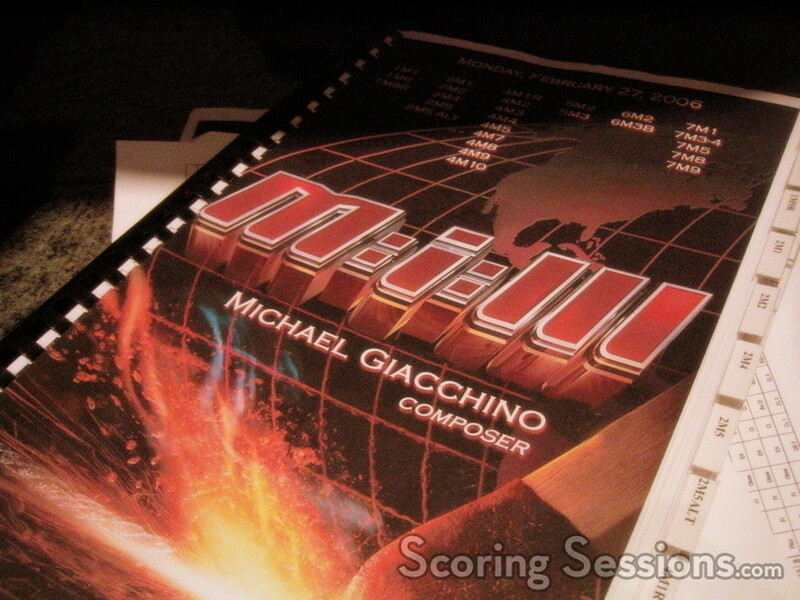 Fans of Lalo Schifrin’s immortal theme to the original television show will be delighted to know that Giacchino not only lends his own take on "Mission: Impossible", but also his own version of "The Plot". 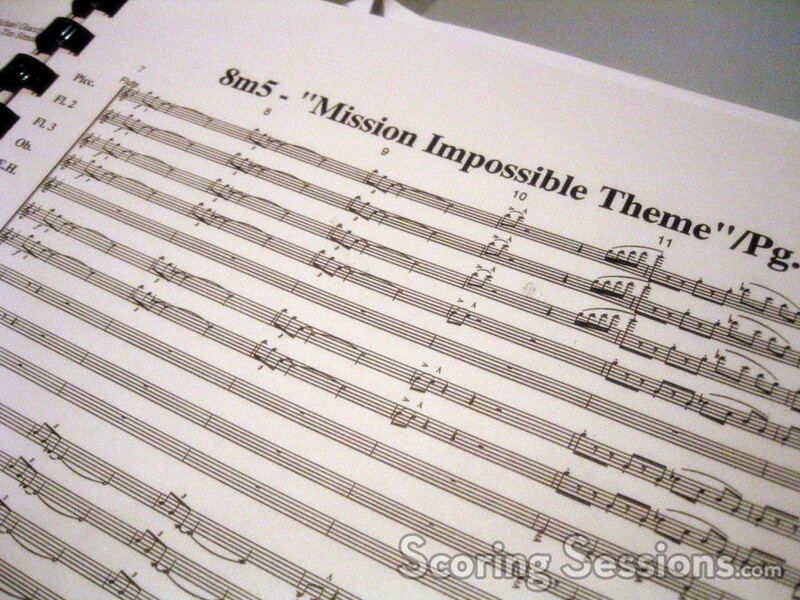 Additionally, Giacchino wrote a new IMF (Impossible Missions Force) Theme, which will be heard in the score, and complements Schifrin’s. 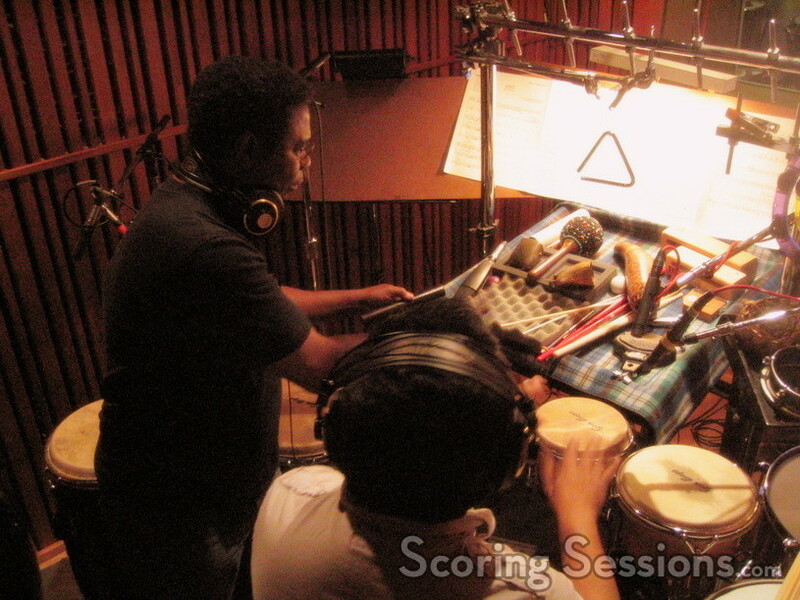 Yes, there are bongos in Mission: Impossible III ! 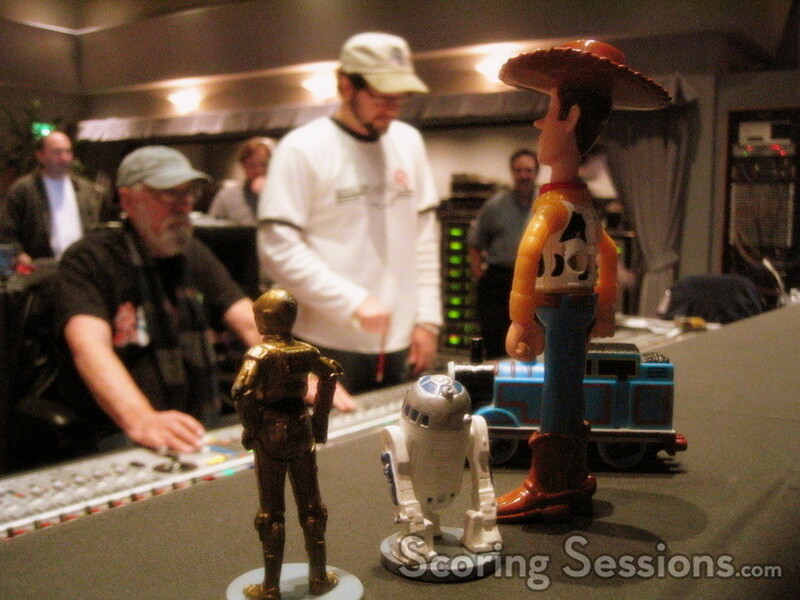 People have their good-luck charms, even film composers! 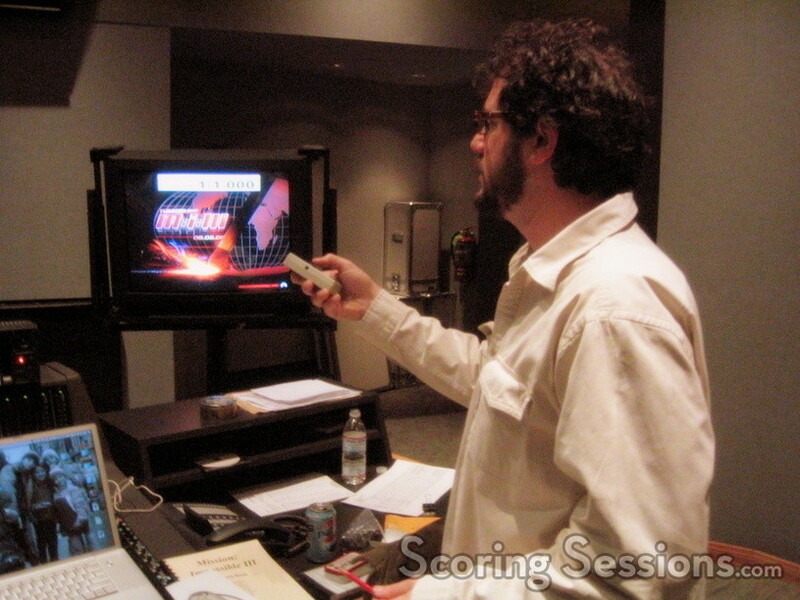 J.J. Abrams was present for many of the sessions, and even had a computer set up where he was working on a visual effect. In the end, three visual effect shots in the film were done by Abrams himself. 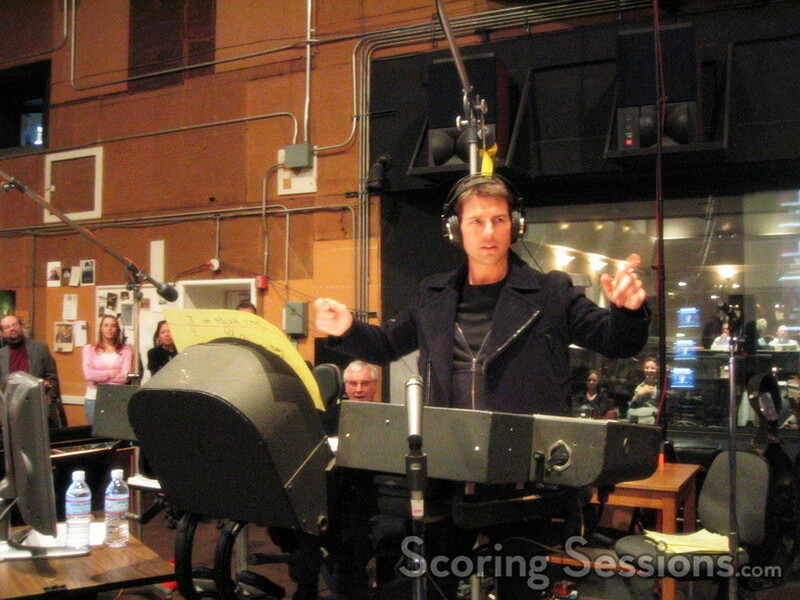 Cruise himself visited the scoring stage a few times, and even came out to talk to the orchestra. 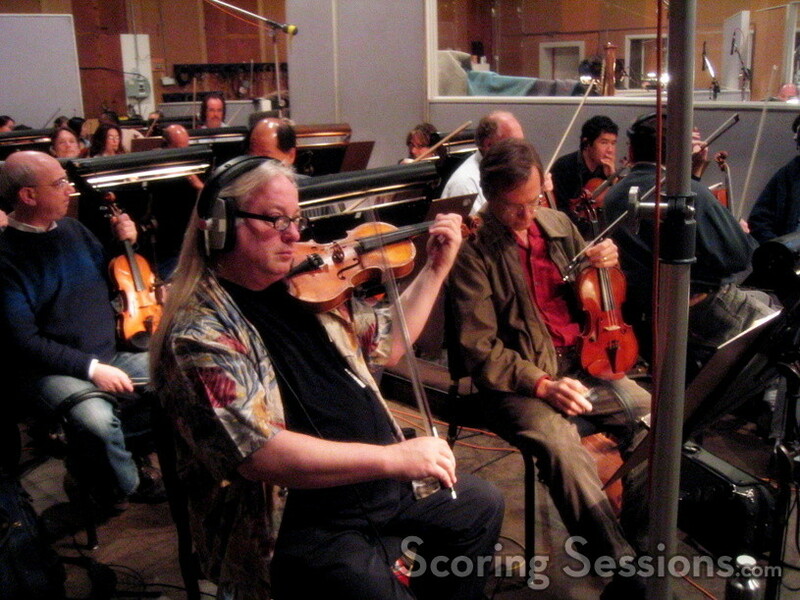 He then conducted the 112-piece orchestra playing the "Main Title" cue. 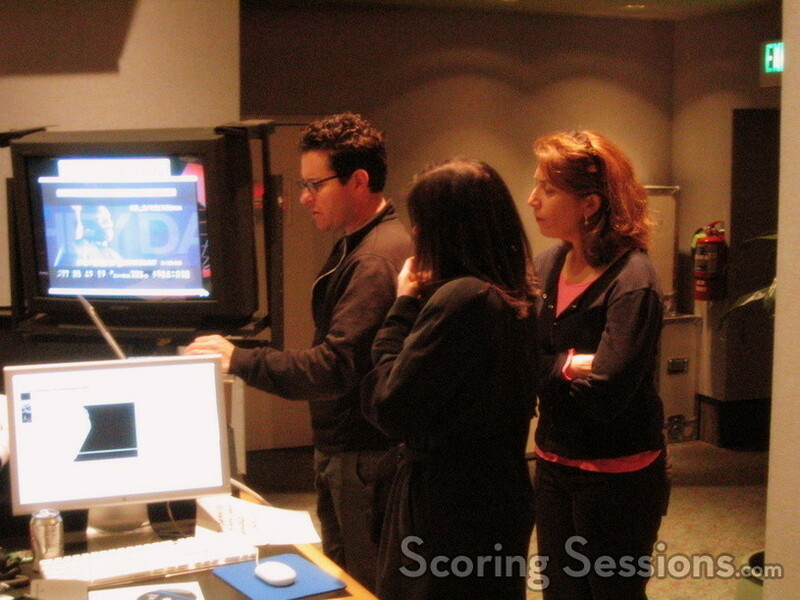 This is Abrams’ first feature film as a director, and many people came to the session to check out the music and the film, including "Alias" stars Jennifer Garner and Merrin Dungey. It’s also Giacchino’s biggest film, and The Incredibles actress (and author) Sara Vowell showed up, as well as The Family Stone director Thomas Bezucha and star Dermot Mulroney. 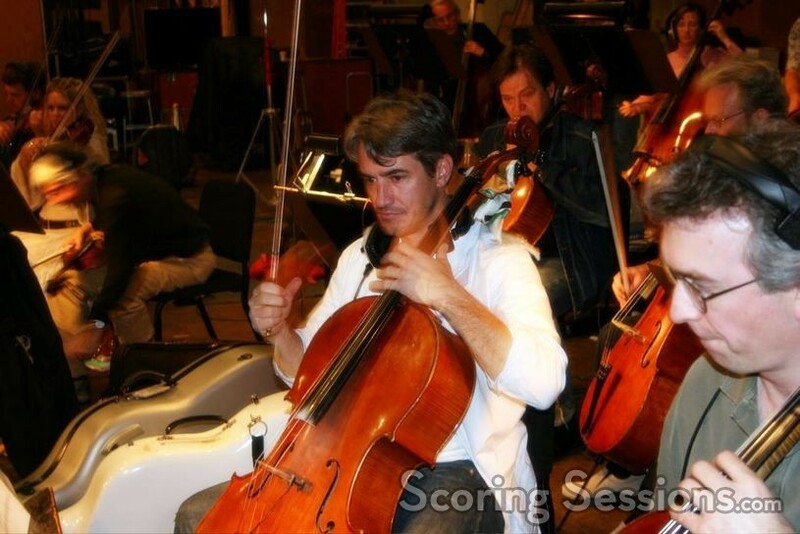 Interestingly enough, Mulroney is in the AFM musicians union, and even performed cello on the sessions for a day! 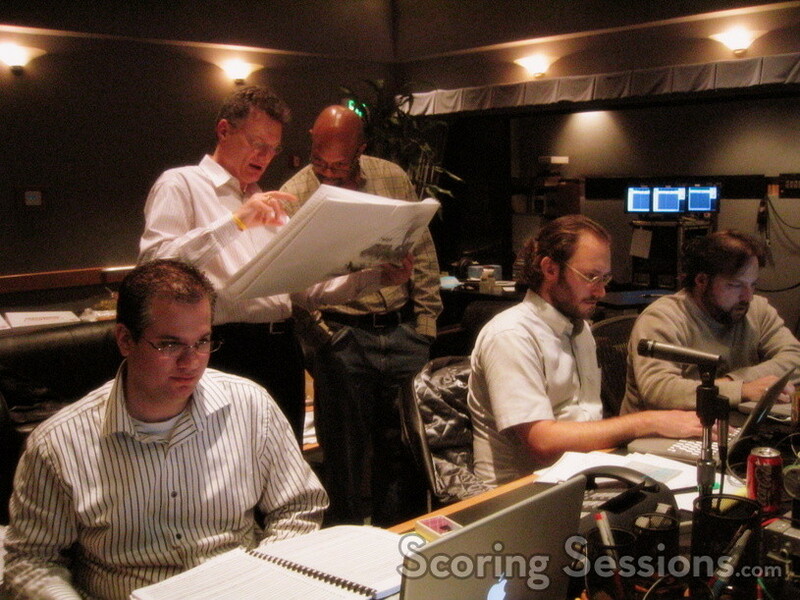 With the constant picture changes, due to visual effects and editorial tweaks, Stephen Davis and his team (including Alex Levy, Alan Schlaifer, Paul Apelgren) were very busy keeping up with everything. 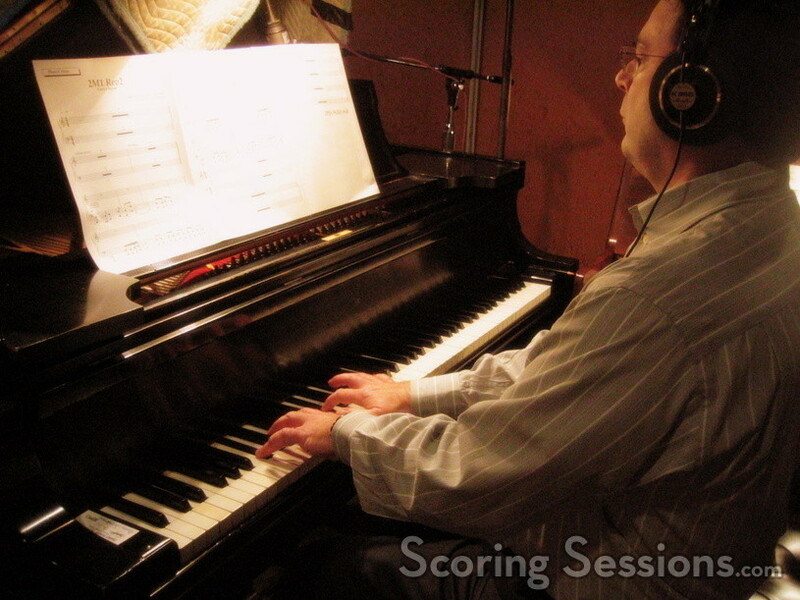 The music was orchestrated primarily by Tim Simonec, with additional orchestration done by the legendary Jack Hayes, as well as Larry Kenton, Harvey Cohen, Mark Gasbarro, Peter Boyer, Chris Tilton. 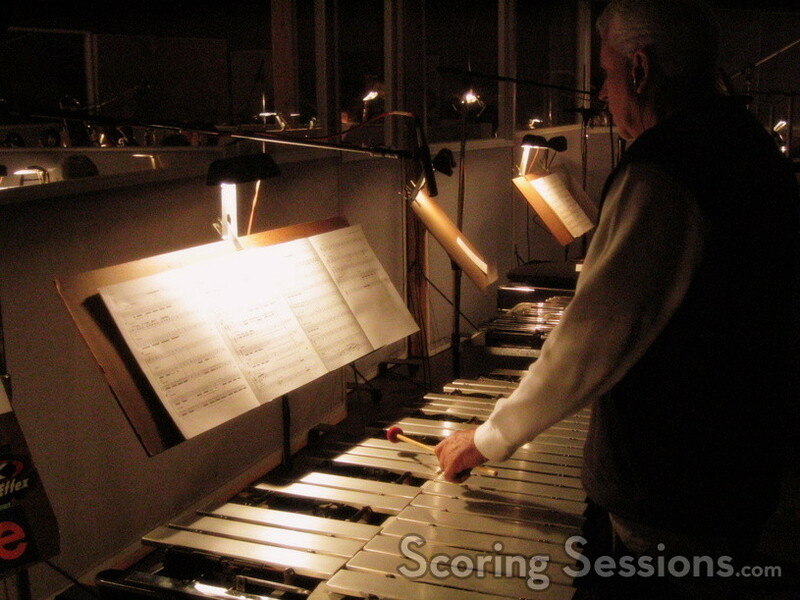 Chad Seiter and Andrea Datzman handled score preparation. 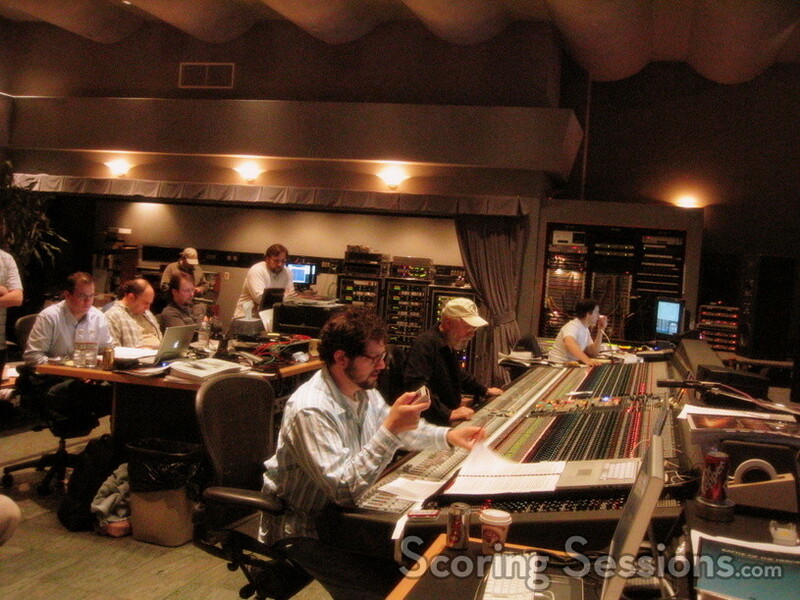 With the huge orchestra, and the large number of cues, there was a lot of music copying to be done. Booker White, Marshall Bowen and Jennifer Hammond were in charge of copying all of the parts. 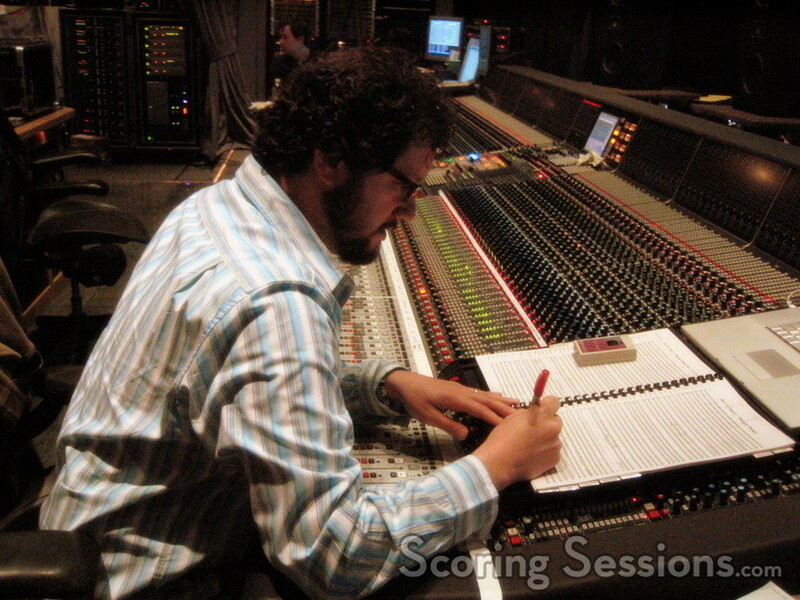 There was even a moment where a last minute rewrite had to take place, and so Giacchino went out to the stage with Abrams, and worked through the problem. 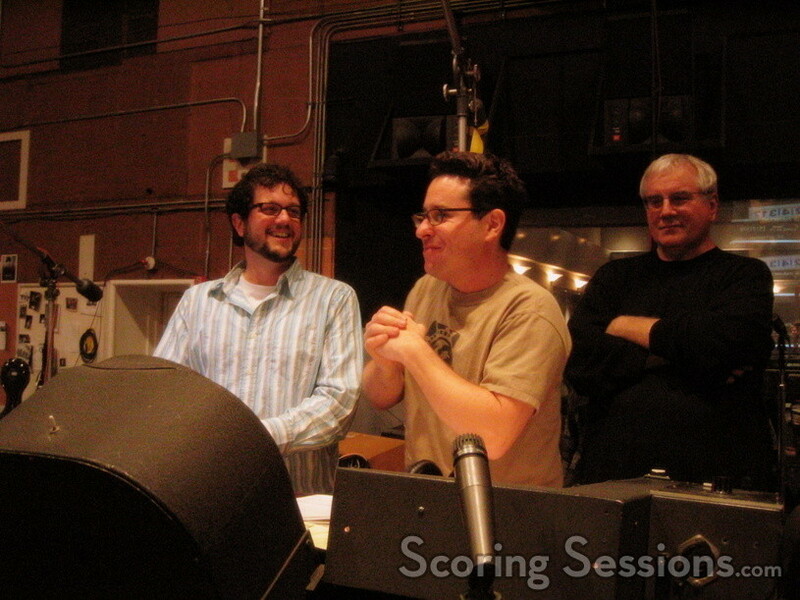 J.J. Abrams loved attending the sessions, and even was so generous as to set up a screening for the musicians, as well as buy Coldstone Creamery ice cream for the entire orchestra during one of the days. Mission: Impossible III will be released in theaters on May 5, 2006. 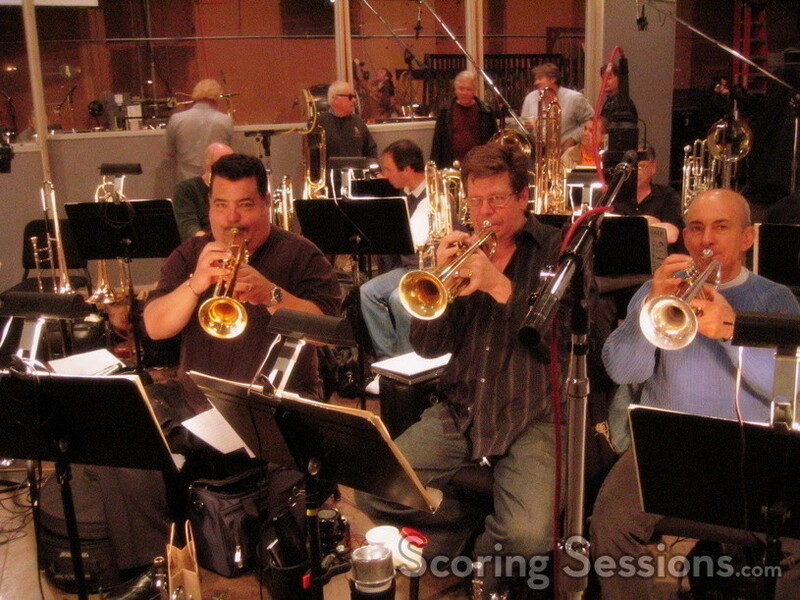 Special thanks to Michael Giacchino, Chris Tilton and Chad Seiter.